The Buncombe County Board of Commissioners approved a new county budget containing a 4.4 percent tax increase. The county’s new tax rate is 56.9 cents per $100 valuation, plus another 3.5 cents that will go to a new authority that will run county parks and libraries. The owner of a home valued at $250,000 will pay $1,510 in combined county property taxes. Changes in individual property owners’ bills from last year will vary because of revaluation. The county’s previous tax rate was 52.5 cents. Who we are. What we stand for. How we help. All data taken from WNCRMLS. All market data taken from WNCRMLS. All info taken from WNCRMLS. The U.S. housing market is back, baby! After an epic meltdown following years of rampant speculation, the U.S. housing market has made serious recovery strides. Data from the National Association of Realtors on existing home sales in May continued to show the steady gains for the housing in the U.S. Read entire article here. 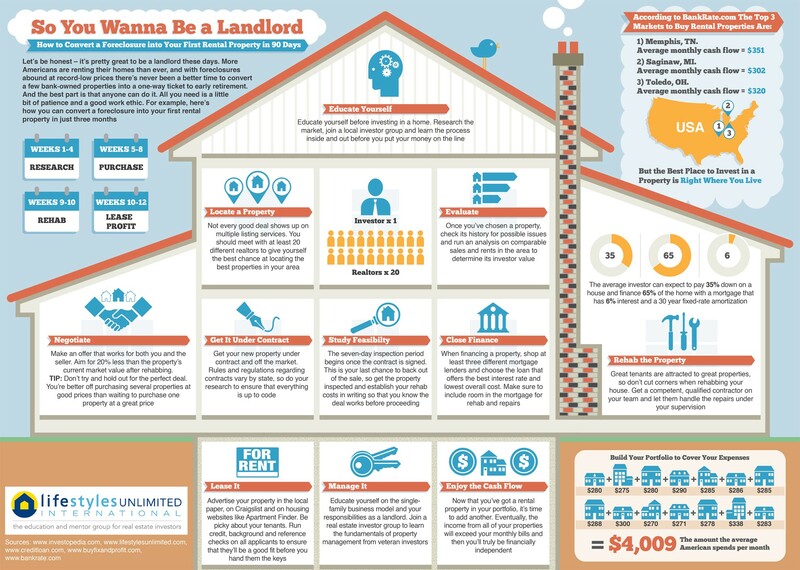 If you’re looking for an easy and reliable way to accelerate your retirement, then you really ought to consider becoming a landlord. Right now, more than 30% of US homes are currently rented and demand for quality rental properties is only predicted to grow in the coming months. Since the market is still saturated with foreclosures, there’s never been a better time for new investors to add one of these steady and dependable sources of income to their portfolio. Although it sounds complicated, converting a foreclosure into a rental property is much simpler than it seems. Anyone, even novice investors, can go from “looking” to “leasing” in three months or less. You just need to get familiar with the process. Check out our new infographic to see exactly how it’s done.